There’s a reason why I’ve waited this long to pick up my “Bétaille Blanket” – aka “Springtime Throw” by Nicky Trench. Oh, I definitely have no problem in still seeing the beauty of this project, but really….. what was I thinking? 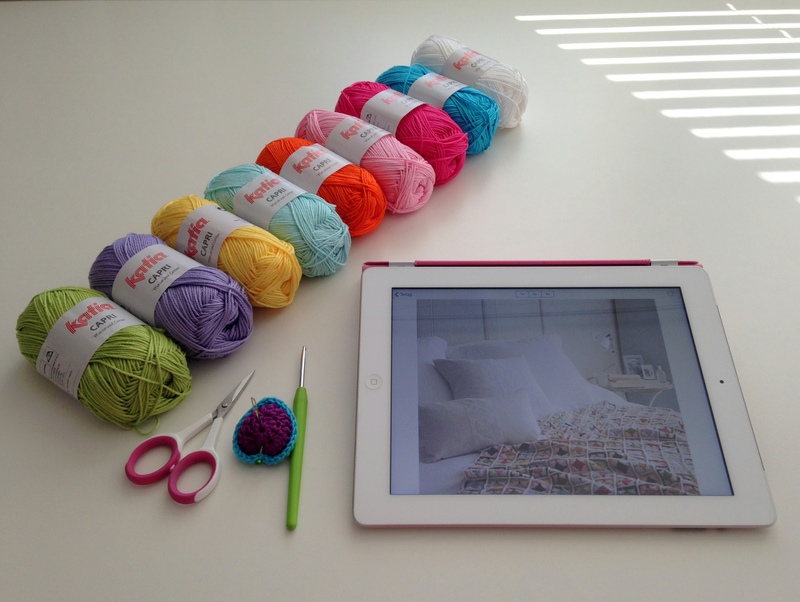 Almost 500 tiny squares, three colors per square …… sooooo many ends to sew in?? But hey, it’s an old wip, I’ve put it on the “wips to finish”-list, and so last Sunday I mustered up enough courage to “attack” this long overdue project. As it turned out, quite some work had already been done. 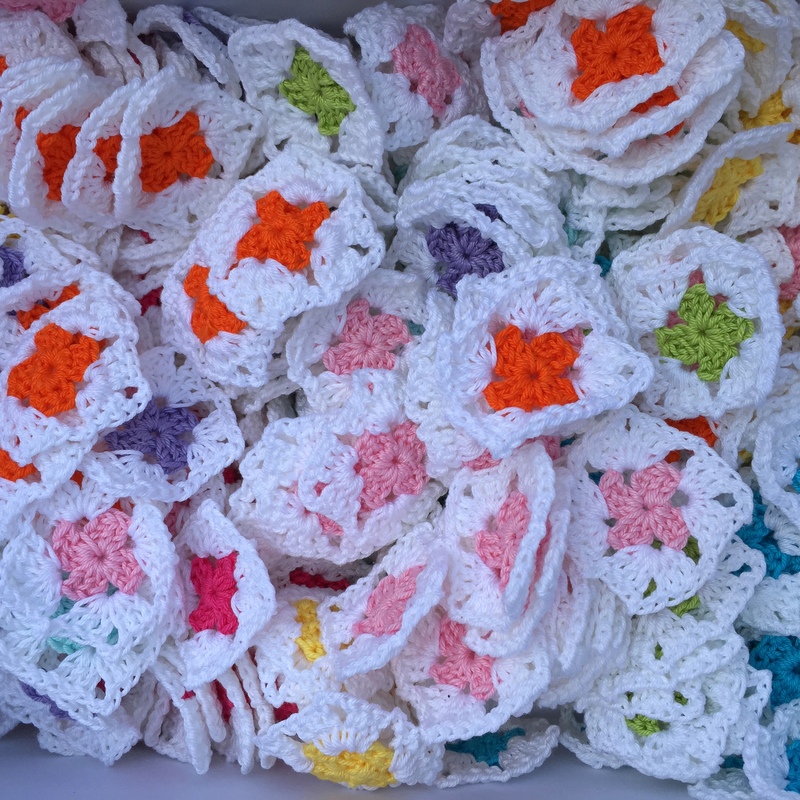 I think there were some 300 squares sitting in the “Bétaille Blanket”-box, waiting to get their 3rd round, then I found a bag that had about 100 white squares that only needed their ends sewn in and last but not least there was a bag holding circa 125 tiny colored squares patiently waiting for rounds 2 and 3. And, bonus: some were already finished! Feeling the need to work on this project in a methodical way, I put all the squares with the same colored centers in a plastic bag. Only to come to the conclusion that I needed more of the blue and dark pink ones, in order to have at least 50 of each color. For reasons I don’t remember I turned up with way more purple and soft mint ones …… oh well. All together I now have approximately 550 tiny squares and that should be more than enough to make a decent sized baby/lap blanket. 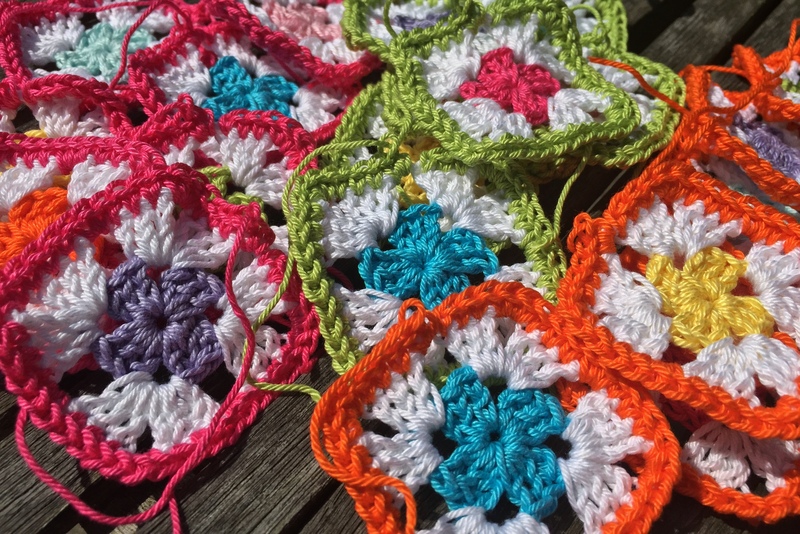 Yesterday I could start on the last round, a colorful one again – and I’m happy to report the pleasure of crocheting this blanket has returned 100%! 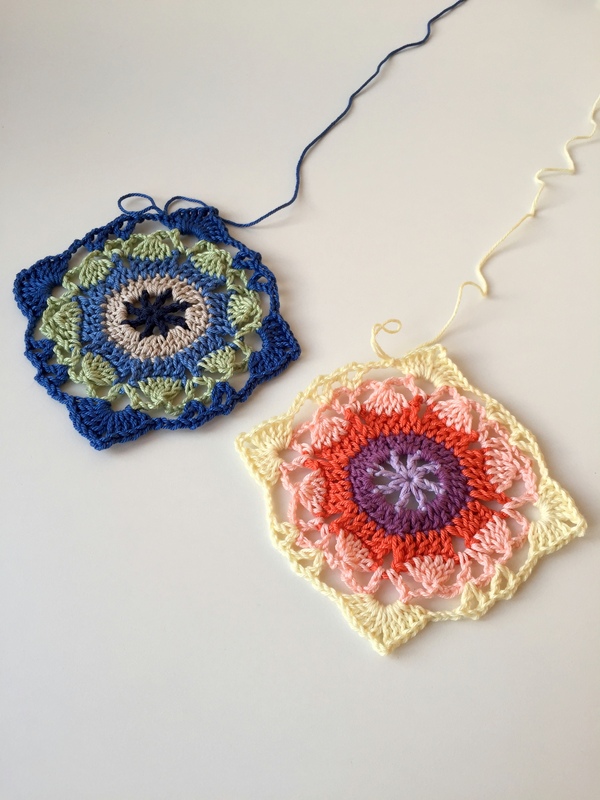 Apart from prepping two “Rustic Lace Squares”, this is the only wip I worked on this past week, and – given the amount of work yet to be done – I’m assuming that will be the case for the week to come as well …. Wishing you all a relaxed weekend! My sweet Marianne, you are so brave and I admire you for tackling a project of this magnitude…your patience is amazing! I have just arrived at Claudia’s, so exciting…packing the car for our long drive to Denmark’s most northern point. I hope your consultation on Thursday went ok and you, and most of all Carter, have a plan of action in place. 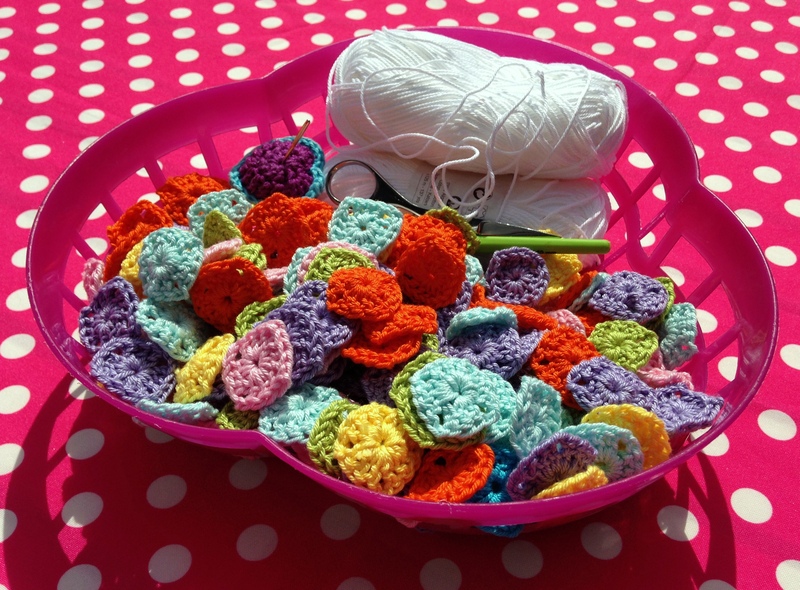 Thank you so much for your never ending support, my sweet friend – I have to admit, this project has been testing my crochet zen-mood several times …. Oh, your trip will be amazing – so looking forward to traveling with you two via your blog updates. Have great fun you two! For some reason you two and this trip make me think of Thelma and Louise (but only the fun part, of course)! Thank you for inquiring about Carter – so thoughtful of you ….. We had a lengthy consultation with the surgeon. He confirmed Carter’s foot injury is very serious, major reconstructive surgery will be needed somewhere in September. Even in the best possible scenario he will not regain full functionality …..
That is a lot of ends to weave in! I have a project like that, it’s hidden out of site and I haven’t touched it in a while. lol Those colors are beautiful though! Any progress is good progress! 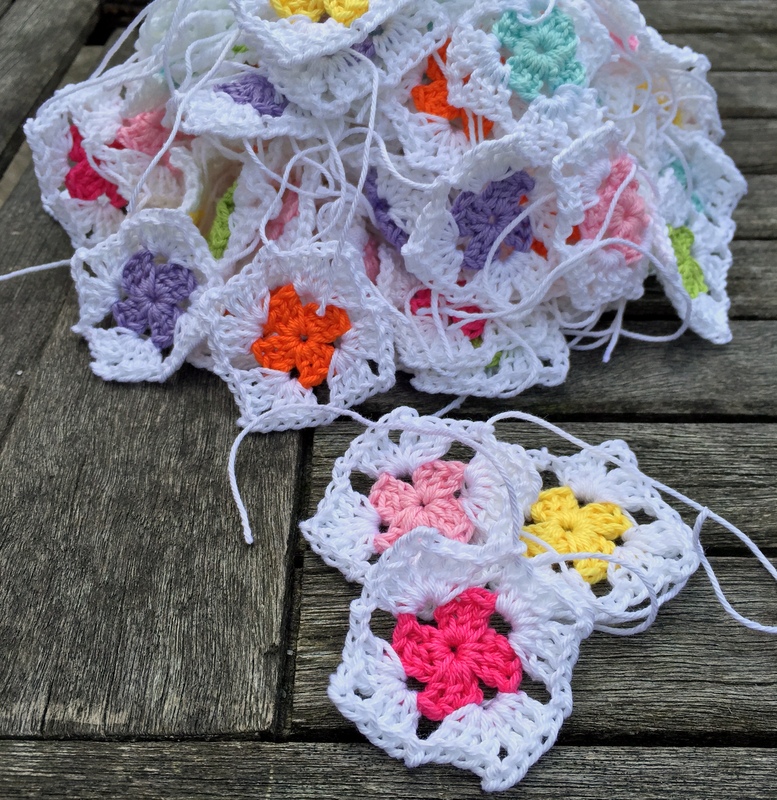 So many teeny tiny squares – it will look amazing when it’s finished! Hij wordt wel heel erg leuk. Zit er ook over te denken om die te maken. Wil een grote deken maken, voor 2 persoonsbed….weet nog niet precies watvik wil. Ben dus heel nieuwsgierig naar de jouwe als die klaar is! !